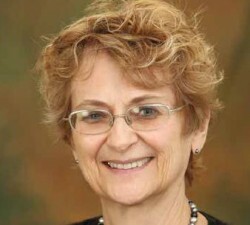 Dr. Mary Coleman was initially attracted to Family Medicine because it is a practice that focuses closely on relationships, and also one that offers a great deal of variety in her daily patient activities. A graduate of The Ohio State University College of Medicine, Dr. Coleman has been with the LSU Department of Family Medicine since 2011. She and her fellow physicians provide a broad scope of acute and ambulatory care, along with preventive medicine and patient education, for children, adults and seniors. This global perspective that makes Family Medicine so rewarding for Dr. Coleman is also what she values most about the "Medical Home.� Thisis not an actual place; it�s a concept. It is a philosophy of team-based primary care that follows five basic principles � patient-centered, comprehensive, coordinated, accessible, and focused on quality and safety. Dr. Coleman and the physicians who follow this model strive to achieve primary care excellence by offering the right type of care at the right time, and in the manner that best suits a patient�s needs. This comprehensive, patient-centered approach forms a partnership between physician and patient to ensure a patient has the education and support needed to actively participate in his own care. That care is provided by a team of physicians who are wholly accountable for a patient�s physical and mental health care needs, including prevention and wellness, acute care and chronic care. The Medical Home philosophy combines old-fashioned practice with thoroughly modern technology. It blends the type of personalized, comprehensive care that family physicians have been offering for decades, while capitalizing on new technology � all while helping patients make sense of the increasingly complex health care system. The Medical Home offers many of the modern conveniences to which we have all grown accustomed, such as e-mail communication, quality ratings and pricing information, secure online tools to help consumers manage their health information, plus appointment reminders and support-group access. While it is steadily gaining popularity in the greater New Orleans community, the Medical Home has become a widely accepted model in other markets for how primary care should be organized and delivered throughout the health care system. In 2014, following a lengthy application process, Dr. Coleman and her fellow family practice physicians within the LSU Healthcare Network achieved a "PCMH-Level 2� accreditation from the National Committee for Quality Assurance, making their group a certified Medical Home. This global perspective that makes Family Medicine so rewarding for Dr. Coleman is also what she values most about the "Medical Home.� This is not an actual place; it�s a concept. It is a philosophy of team-based primary care that follows five basic principles � patient-centered, comprehensive, coordinated, accessible, and focused on quality and safety. Dr. Coleman and the physicians who follow this model strive to achieve primary care excellence by offering the right type of care at the right time, and in the manner that best suits a patient�s needs.